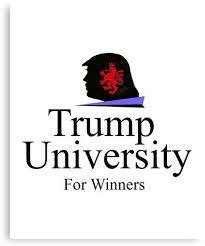 On Friday, U.S. District Judge Gonzalo Curiel ruled in favor of a $25 million settlement between President Trump and customers of his defunct Trump University. Trump and his lawyers reached the settlement shortly after the election. Trump did not admit to wrongdoing in the case. But "this never was a university," New York Attorney General Eric Schneiderman told ABC's George Stephanopoulos last June. "The fraud started with the name of the organization. You can't just go around saying this is the George Stephanopoulos Law Firm/Hospital/University without actually qualifying and registering, so it was really a fraud from beginning to end." Last year, President Trump claimed Judge Curiel's "Mexican heritage" should preclude him from ruling on the case.